Mazda has upgraded its CX-5 - a car that promises impressive performance and economy, but in the past has been let down by a less-than-premium interior. Competition in the crossover market is fierce and Mazda says the CX-5 has been revamped inside and out to make it more price-competitive, as well as addressing the cabin quality questions raised when launched back in 2012. Prices see a hike of a few hundred pounds, but you're getting more for your money too. Standard features like a new seven-inch touch-screen, electronic parking brake and headlamps that stay on for a brief period after the engine is turned off, have been added to try to attract buyers away from alternatives including the Ford Kuga and Honda CR-V. 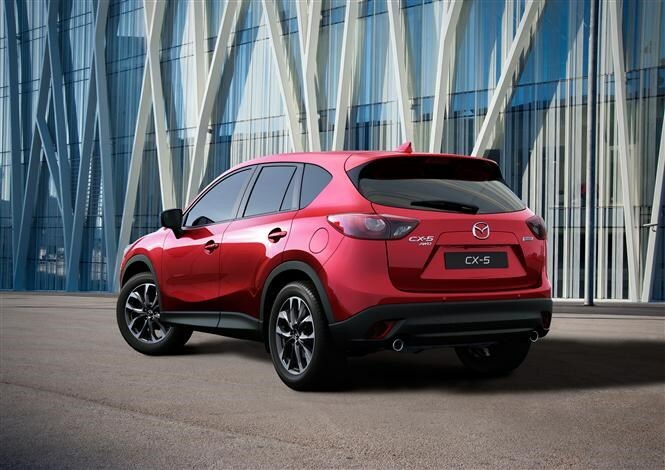 The CX-5 is available in 16 combinations of engine, gearbox and trim, including two-wheel and all-wheel drive variants. The cheapest petrol SE-L model costs £22,295 - £400 more than its predecessor –and the range topping 2.2-litre Sport Nav Auto costs £30,595. Top-spec Sport Nav models gets new 19-inch gunmetal alloy wheels and a full deck of LED lights, including daytime running lights, foglamps, and headlights. The navigation system has improved for greater accuracy, search, and includes three years of free map updates. Optional on the Sport Nav trim is Mazda’s safety pack, which now includes Driver Attention Alert, which learns your driving style and so it can spot any signs of fatigue and warn you accordingly. The blind-spot monitor has a larger detection area to the side and rear and also spots pedestrians or bicycles while reversing. Adaptive headlamps automatically adjust to avoid dazzling other motorists without having to switch to low beam. Radar Cruise Control can be added too. Rear Smart City Brake Support automatically applies the brakes at speeds between 2 and 5mph to if it thinks you are about to crash while reversing. 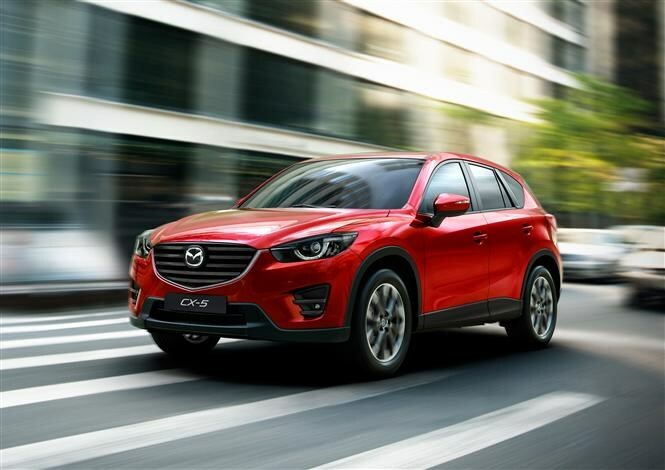 The CX-5 is powered by with petrol or diesel engines, the latter available in two outputs. Those interested in good economy should look at the 148bhp 2.2-litre diesel in two-wheel drive configuration, which Mazda says will deliver 61.4mpg. Performance remains strong with the 173bhp, all-wheel drive 2.2-litre diesel with the six-speed manual gearbox dispatching 0-62mph in 8.8 seconds. The upgraded CX-5 is available from spring and will cost between £22,295 to £30,595 on-the-road.